LiphaTech's Howard Franklin described the donation of a used soft drink dispenser as a labor of love. After purchasing the dispenser, Howard tore it apart, painstakingly restoring it to almost mint condition. First Termite Control class at IPM House, March 22, 2017. Charles Adams and Lauren Ward show how a bee removal works using IPM house. The first ever class at IPM Experience House. "Pest proofing" with guest instructor Tim Madere. 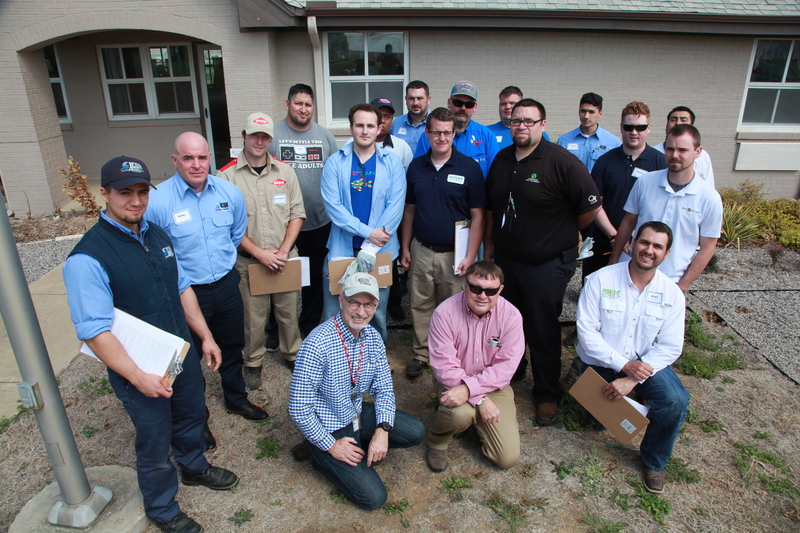 IPM Experience House is a new training facility designed to provide hands-on training experiences for pest management professionals (PMPs) doing structural pest control in Texas. Phase I of the facility is nearly complete and has been financially supported by Texas A&M AgriLife Extension and the Texas pest control industry. Phase II fundraising is ongoing. To learn more about how you can support IPM Experience House, click here. Staffing and curriculum development for the house is being overseen by integrated pest management specialists based at the Texas A&M AgriLife Research and Extension Center at Dallas. Phase One of the project involved the remodel and redesign of a former dormitory at the Texas A&M AgriLife Research and Extension Center. Phase Two of the project will involve construction of a nearby, covered pavilion and equipment storage area. The pavilion will provide outdoor space for real and simulated pesticide applications, emergency response training and additional demonstrations on building design. For a brochure about the IPM Experience House click here. If you have questions or would like for us to schedule a personal visit, contact Dr. Mike Merchant via phone or email. News from the Ent. Soc. Amer.